Whether you’re traveling to the old West or a 1920’s Speakeasy, the Whiskey Barrel Bar is just what you need to complete the look! 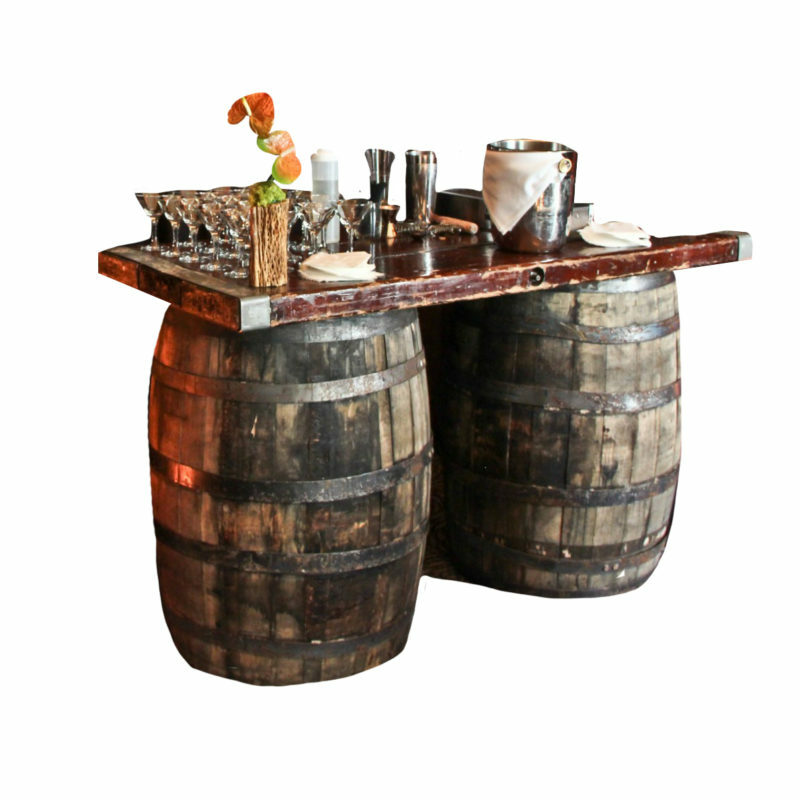 This option comes with two whiskey barrels and a bar top, and when paired with our Bistro round tables, it’s a perfect accent piece. 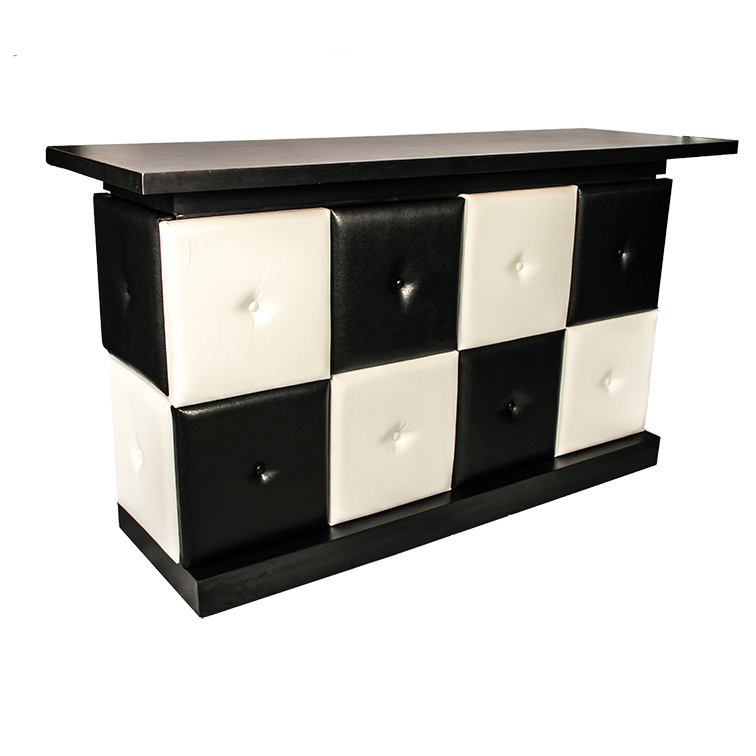 The Wood Tri Fold Bar is a full package bar option! This bar creates a layered experience in two tiers of bar surfaces. 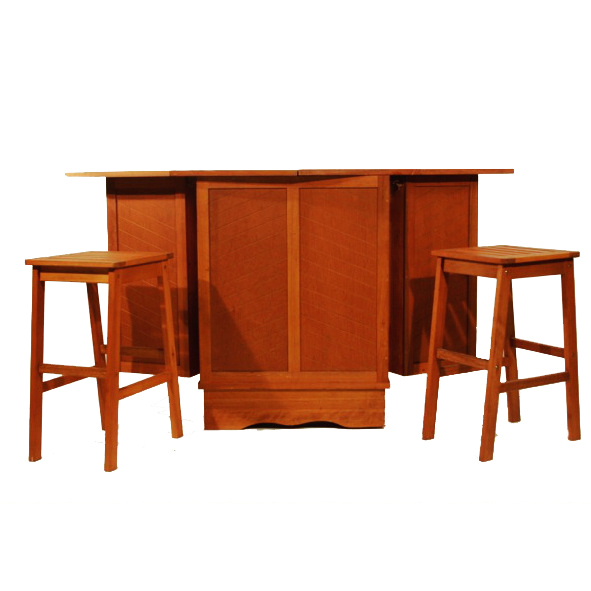 Available with two matching bar stools to complete the look, the Wood Tri Fold Bar features a warm wood varnished finish. 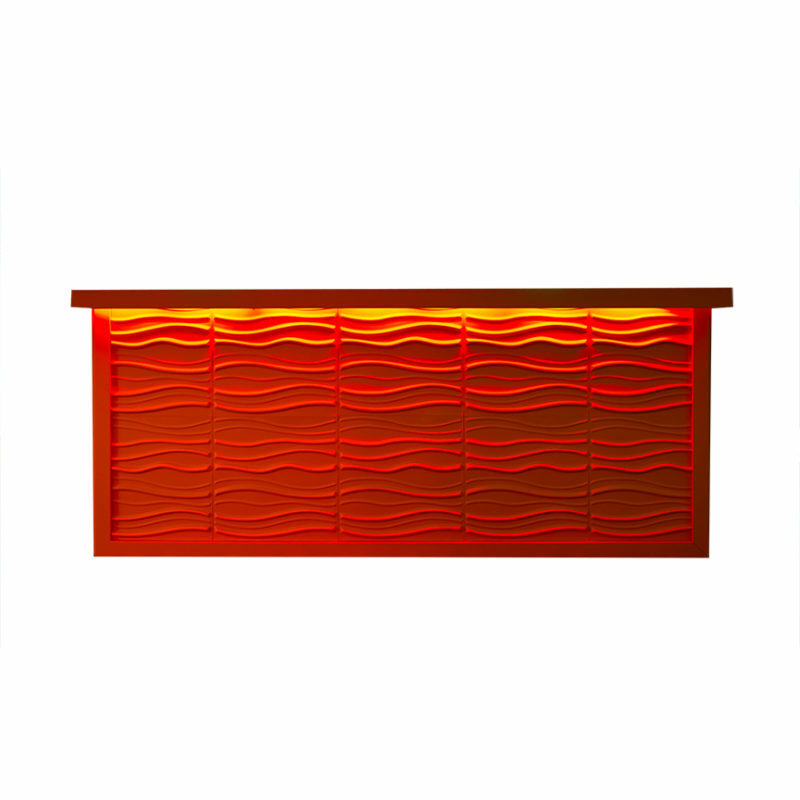 The Wave Bar is a wonderful, textured bar that has quite the character! Recessed panels feature a wave texture that is wonderful on it’s own. However, when you pair it with our interior lighting options, the bar comes to life and glows in the best possible way! 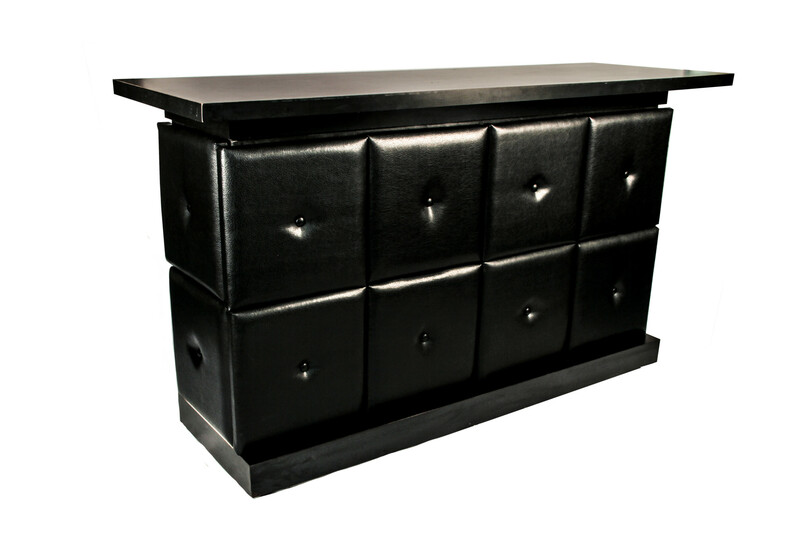 Truly a beautiful piece, this is the perfect bar for any Portland event rental. The Cambro Bar is the bar on the move! 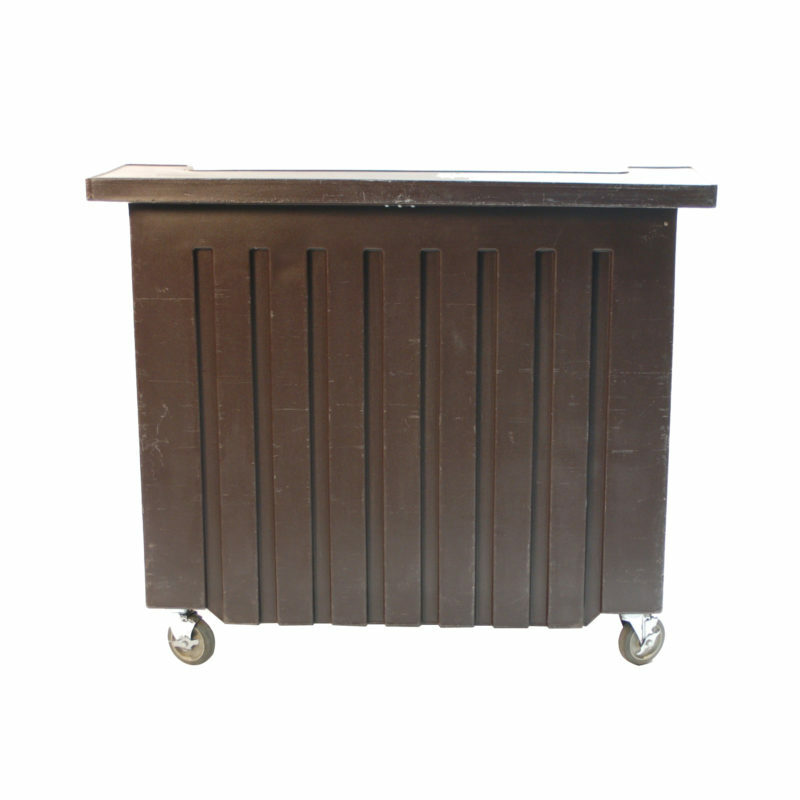 Featuring wheels and a heavy duty plastic this piece is perfect for outdoor parties. 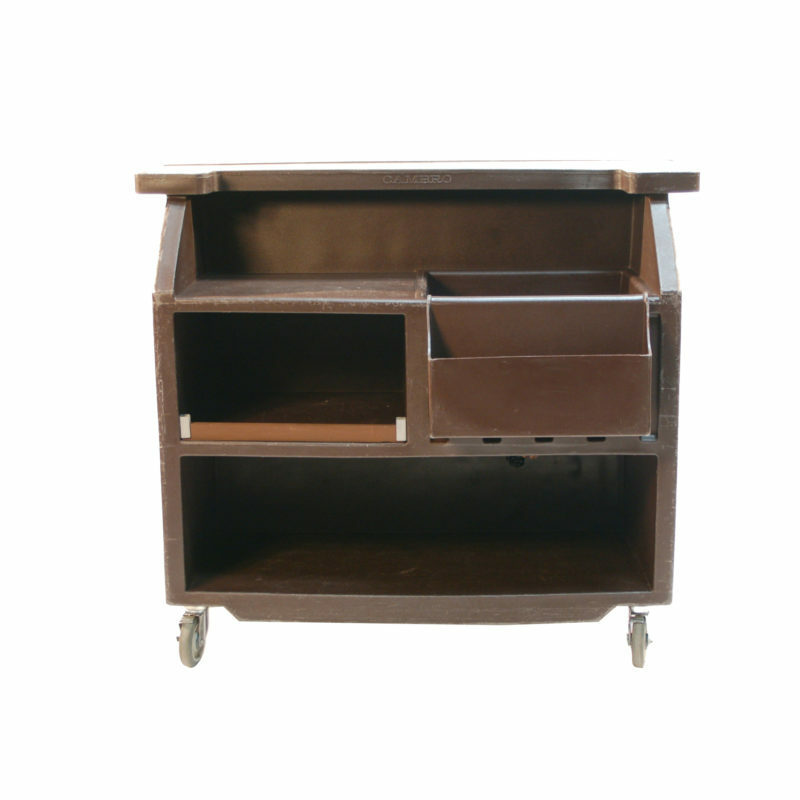 The Cambro Bar features storage for drinks, ice, and more, try it at your next poolside event!